Vintage Infantry Utility Shorts Army Digital Camo | BUDK.com - Knives & Swords At The Lowest Prices! 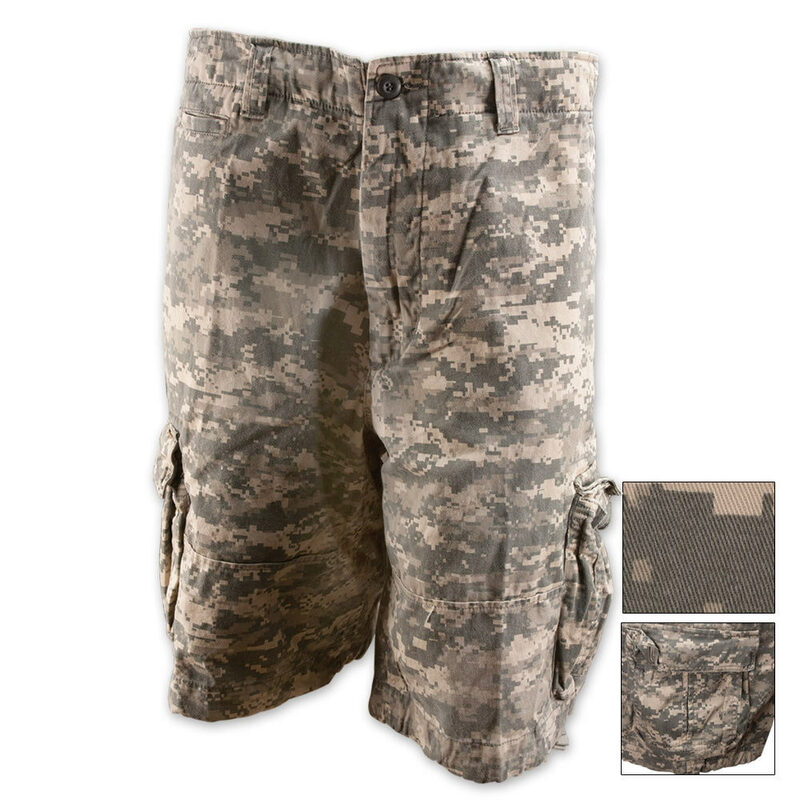 These rugged, heavy weight utility shorts are extra long and relaxed fit. These vintage Infantry shorts are constructed of 100% cotton and feature 6 pockets, a French sipper fly, button waist and drawstring leg. The distressed look makes these shorts stylish to wear around town or around the house. Please specify size: available in L, XL or 2XL. *Note: 2XL add $2.00.